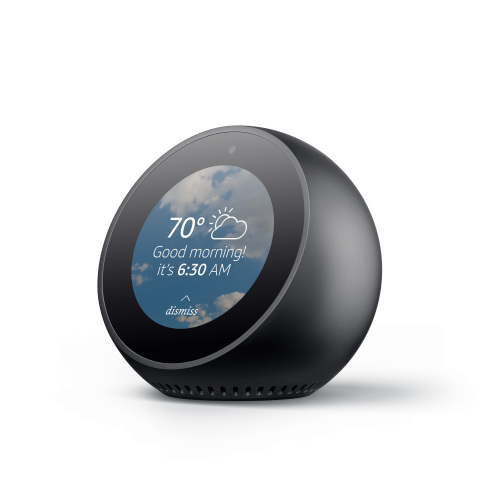 SEATTLE--(BUSINESS WIRE)--(NASDAQ:AMZN)—Today, Amazon announced Echo Spot, the newest addition to the Echo family. Echo Spot delivers everything you love about Alexa with a smaller design and the added convenience of a circular screen so that Alexa can show you things. The all-new Echo Spot is $129.99 and is available for pre-order at www.amazon.com/echospot. It will begin shipping in December.